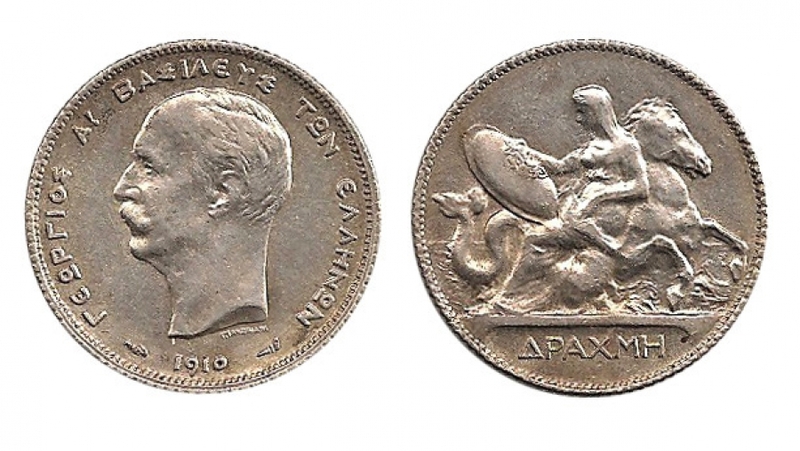 1910 Silver 1 Drachma coin from Greece. Obverse: King George 1. Reverse: Thetis riding a hippocampus, delivering Achilles’ shield.